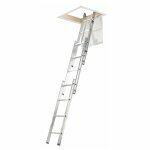 A complete loft access solution including ladder, loft surround, 26mm insulated trapdoor and spring assisted stowage. 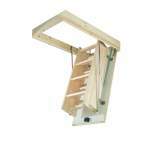 Stores within the hatch so saves loft space. The Werner Timber Complete Loft Access Kit Loft Ladder is the complete loft-access solution, measuring (H)111×(W)55cm with spring-assisted stowage and wide, sturdy treads for comfortable climbing. 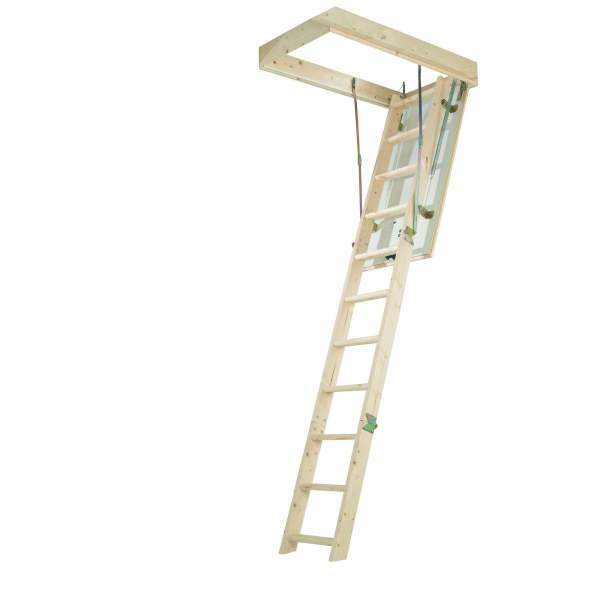 The kit includes all the required fittings, and comprehensive instructions. This loft ladder is stored within the trapdoor so no loft floor space is used. 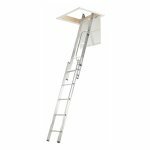 Suitable for heights up to 2.8m.